When is the Last Time You Took a Three Hour Lunch? Being a solo broker and owner, I make my own hours and if I want to take a three hour lunch..so be it. That is what I did this week..meeting my friend and publisher Peg Silloway. Nothing on the agenda, just a couple of gal pals catching up on life. This is one of the perks of being on your own. When is the last time you took a three hour lunch? Meeting at Suburban House we had fun, we laughed, we talked, we shared and there was no guilt whatsoever...no one to account to. I love taking this time off. Peg showed me her new Muse Medallion I was surprised at the size and weight...not something to wear each day. And what would lunch be without chocolate? Again homemade Brownies just like Peg made when we celebrated the birth of "Real Estate the Rome Way"
This time these brownies were wrapped as a gift in a pretty tin with a bow...and still quite yummy! Lunch with a friend, sharing good times, indulging in chocolate...well it just doesn't get any better! 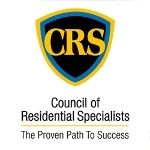 MRIS (Maryland MLS) More Time To Get It Done! I love finding ways to save time especially at the end of the year. In two days I will have more time to search and enter information into our Maryland MRIS..MLS..Multiple Listing Service! Many times while on the MLS... searching, updating listings or placing a brand new HomeRome listing into the computer, I get a 'timed out'' message? Amazing how quickly 30 minutes goes by...especially if you have to take a phone call. That's why I have always chosen to enter my MLS data late at night.. when there are usually no interruptions. Giving you more time to get more done. Extended 2 hour time outs begin December 30th! DOUBLED from 1 to 2 hours! QUADRUPLED from 30 minutes to 2 hours! What's the Big Deal Giving feedback? Very simple, very courteous..what's the big deal giving feedback? As a listing agent who makes all of my own appointments it is not that hard to get feedback. I usually have a bit of rapport with the showing agent, giving details how to gain access, pointing out a hidden feature etc. When I do call for feedback.. I ask, 'Did you get in OK? Do you or the buyer have any questions?' If there is interest, it will expressed. When showing my own listings, I usually make this call while closing the house up. This, to me, is a big time saver. The seller knows you are at the house, comments about the showing can be made and no need to remember a follow up call when the information is no longer fresh. I even ask the seller to give me a reminder call if they have not heard back. That way they are not waiting. This works when a seller waits outside, drives around the block and they call to let me know when the agent leaves. Giving feedback is common courtesy. Do you remember a parent or maybe even yourself as a seller...getting the home ready, leaving and waiting to hear any news. As listing agents, we hear the disappointments, the anger and the inconvenience. Did they even show up? Did they like it? When that call never comes..tensions mount and reputations suffer. Put yourself in that seller's place. I am not talking about vacant properties and the home that is unoccupied during the day. I am talking about real live special people...owners who wait, who are elderly, who are ill, who have children, who have to have someone come in and help get the property ready, who have a pet to remove, whose sleep has to be disturbed because they work nights. It is not possible to have the place ready at all times in these situations. It only takes a phone call to keep a seller happy! Pay it forward...give feed back before it is requested. When looking for feedback...you have to know how to ask. You are not requesting the make up of the buyer, their motivation, their financials or anything that would compromise the transaction. When I am asked for feedback, it goes something like this. Thank you so much for allowing me view your property. You made it very easy to get in, the house looked so nice with all the lights on. I will be back in touch with you if the buyer has any interest. Paying It Back by Paying It Forward! This brief exchange of emails and comments is what ActiveRain is all about and the true meaning of giving at this time of year. It started with a conversation with William Johnson. 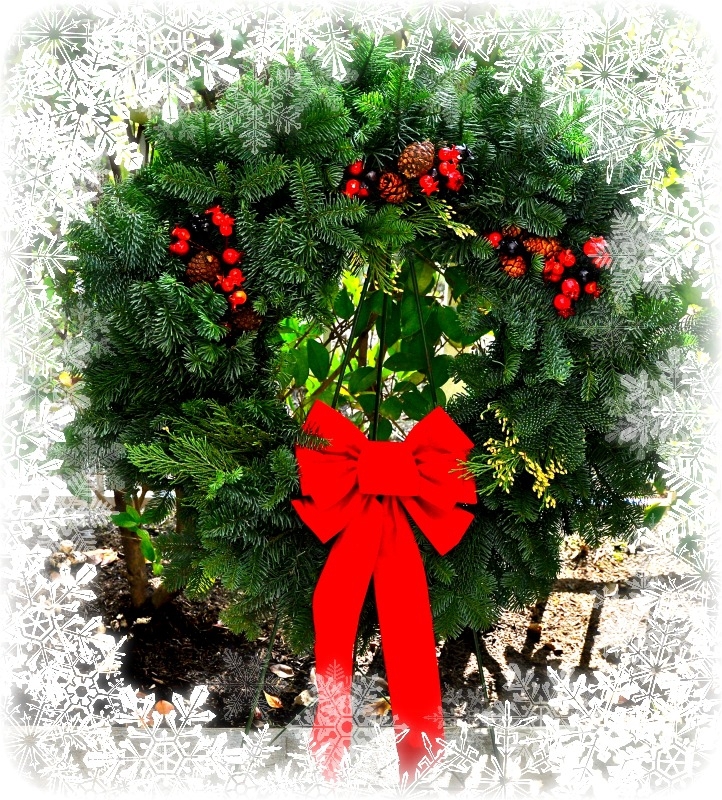 Thank you, William for encouraging this featured Pay It Forward Post. Sally Cheeseman made this comment..
Are you all following this conversation? ...and Sally's email to me, which I share with her permission: "...I just got goose bumps all over! I’ve been meaning to get your book for years and wanted to have one of my own (Randy offered to let me read his copy lol) and finally did for a very worthy cause too! I’m so happy that you’re donating to a most wonderful cause Margaret. I donate throughout the year here and there but thought wow…you’re doing such a great thing….let me do something back for you!..." You can continue to read more comments going back to the Pay It Forward Post. Paying It Back by Paying It Forward..what a concept. In addition to being an important site for real estate professionals, this is what ActiveRain and its members are about! Here is a two bedroom and two full bath fourth floor condominium in the luxurious Seven Slade Condo also known as Suburban Oaks. This spacious unit is conveniently located in the Pikesville area of Baltimore County zip code 21208. Who Says Baltimore, Maryland Condos are Only For the Old Folks? The living room (24'x12) is large enough to have a living/dining combo and then take the existing dining space for a den or family room right off the kitchen. Beautiful park like views, from over sized windows and your own private balcony, can be enjoyed through the sliding glass doors from the living room. Watch the changing Baltimore seasons from each room. Your own control of heat and air conditioning ( utilities included in monthly condo fees)~ Swimming pool (water aerobics in the summer) ~4 guest rooms (for your out of town company)~ Library/exercise room(keep your mind and body in shape)~ Party room/social club (with kitchen for entertaining) a storage locker. The doorman and porters are available to help with packages through easy back door access. Beautifully designed and maintained lobby with calming fountain area. William Johnson from San Diego and I had several conversations over this past year. We have developed an online friendship. This is what happens with social media...starting with a digital hand shake. It is an honor to be associated with William. He is an awesome Real Estate professional! William inspired this idea during one of our chats. Thank you, William for encouraging this Pay It Forward Post. 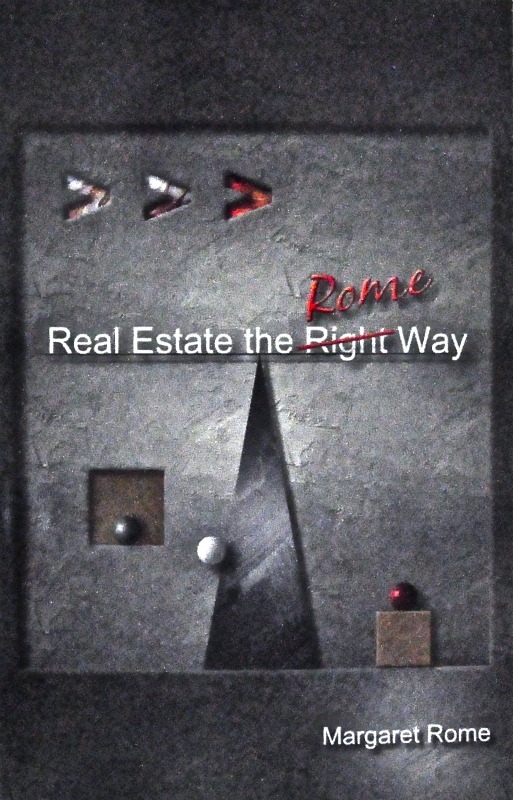 One of ActiveRain's most outstanding members and REALTOR® wrote a marvelous book " Real Estate the Right Rome Way. 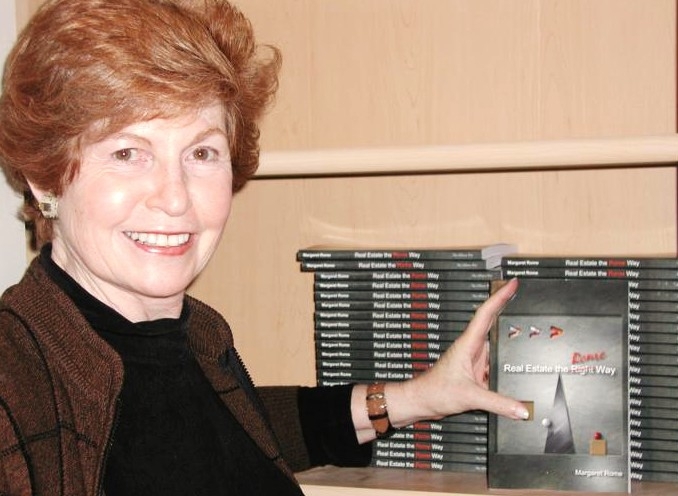 A gifted writer, friend and outstanding professional, Margaret Rome has accomplished what few of us have in writing her first book based in part on her blogging efforts here in on ActiveRain, or as we say, " Here in the Rain "! While I am about it, here is the link to be able to purchase Margaret's book. I am very anxious to finish reading this autographed book of Margaret Rome. ( already devouring the first 35 50 pages where she discusses real estate and asks the question" Why are you here? " ). 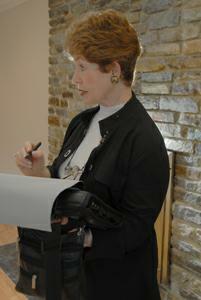 Margaret talks about a story that Floyd Wickman of Sweat Hog fame related in one of his seminars. Margaret refers to it as " Sharpening My Ax". As I recalled the story, I learned early on, how really important it is to continually hone ones skills. Here in the Rain, we are always reminded of this with so many wonderful posts with new ideas, the How To's and all the systems and resources we could even need. One of the many ideas discussed in Margaret's book is about understanding what you actually do for a living and when asked, to be able to give a clear answer that the consumer actually understands and can identify with. "I'm in Real Estate" or "I sell Real Estate" is not a very interesting answer and doesn't really tell at all what you actually do. For myself, I made up one of these so called elevator speeches years ago and I think it is concise and says exactly what I do. Here it is in case you want to use it. It goes like this. " I am a trustee of the land ( licensed) and I facilitate the orderly transfer of title for Buyers and Sellers of homes in San Diego county. And I would consider it an honor to be of service to you, your family and friends." Well, lots more lessons to learn, moving on through the remaining 8 chapters. I would encourage you to get Margaret's Book and I am sure there is much there that will help you refocus your real estate career. I can see it positively affecting the way I think and do real estate. Thank you Margaret Rome , I am loving the book! And I will also add that it is an honor to be associated with you here in the Rain. You are an awesome Real Estate professional! Pay It Forward... Made Simple the Rome Way! One of the themes that run through my life is YOU GET BY GIVING a statement first heard from Floyd Wickman. The statement was new but not the concept. Questioning each gift going around the room ... each had it's own story. Mom took one neighbor to the doctor three times a week, another she visited in the hospital daily and washed their clothes, another she baked for each Friday night, another was a blind lady that she read to and helped. All around the perimeter of the room...story after story..Mom's response..it didn't cost me anything...why are they all buying me gifts? "...the concept of helping someone else is as old as time. Helping not only benefits the recipient, but also benefits the giver. Think about the feeling you had the last time you did something for no other reason but to be helpful. That feeling is empowering. Most often the deed done for another is something very simple. It’s because you put someone else’s needs before your own." So here is my Pay It Forward the Rome Way. If you would like to have an autographed copy of Real Estate the Rome Way, just make a donation to the charity of your choice, let me know about it, provide me with an address and I will send you a signed copy of my book. Hurry this offer lasts til the end of the year. Writing about the subject...Going Back to Basics, I have talked about answering your phone, making your own appointments and even having a special business card.. ...Use Your Phone! and What's Your Tag Line? -and A Different Kind of Cold Calling. That reminded me that I don't do anything I don't want to. . I don't want to work with clients who are kindness impaired…so I don't. Life is too short. I don't want to cut my commission (which would mean that I would have to cut my service)…so I don't. I get one of the highest commission in the area, and my clients know they get top value. I don't want to drive buyers all over town looking at houses…so I don't. I work with sellers. I don't want to regret choosing real estate…and I don't. Where else can you work with interesting people, help them reach an important life goal, and be part of a group of professionals who become friends? I DO want to be assured that my clients get the best possible service. That's why I answer my phone, make my own appointments, make myself available for many showings. I DO want to create a referral business. That's why I use my experience in nursing to nurture clients and help them through the high-stress time of buying a home. I DO want to help new agents, the ones who want to learn and stay in the profession for the long haul. That's why I agree to speak to new agents. I DO want to spend time with my family and friends. That's why I carve out time. And I DO want to keep growing and learning. 20 years in the business and Broker/ Owner of HomeRome Realty, I still continue taking courses. The letters, after my name, look like alphabet Soup . 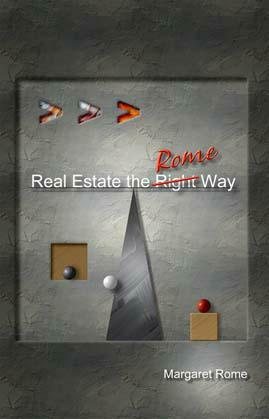 And I Do want people to read my book Real Estate the Rome Way. Stay tuned to a pay it forward idea coming soon! What are Your Do's and Don'ts ? Love Was Definitely in the Baltimore Sky Tonight! I love the moon...the moon loves me! Look at the photo I captured tonight while riding in the car. Having a steady hand is not always a benefit. The moon, again, was spectacular and very different from the changes that took place during the eclipse earlier in the day. In my opinion, this photo deserved it's very own post! There will be others from tonight but this one stands on it's own. Last night's moon (actually this morning) received all the attention. I had to set my alarm clock for 1:30 AM to take one picture of the eclipse and then stayed up until 4:30AM snapping the exciting changes in the shape and color. It was really cool...a wind chill of 15 degrees! You can see them in my post of The Lunar Eclipse. Be sure to scroll down to the comments where I posted the photos along with the actual time of each one. There is going to be a lunar eclipse starting in about four hours. I am going to set my alarm clock for 1:30AM so I can witness this event. Even though it says the best time is 3:17AM..maybe I will set it again. Do not think I will be up for the full time it takes for the entire eclipse. Tonight, Monday, this is what the moon looks like at 9:45PM from my front porch in Baltimore. This should be a really cool (about 30 degrees cool) doing this through the wee hours of the morning. **For more pictures of the eclipse, go to my blog at Eclipse on Active Rain blog and be sure to scroll down through the comments to see the full show.